Our Lint-Free Flocked Applicators are made with lint-free and non-absorbant fibers, making them perfect for eliminating drips, spills or waste while lashing. Use the angled head as a cleaning implement to remove mascara or debris along the lash line. Also great for curing, or use in removal of lash extensions. I use these for everything! Perfect for pulling the lashes back against the shield gently yet effectively. I use them to apply and remove each solution and they’re perfect for removing the adhesive from the skin too! BEAUTIFUL LIFT!! Thanks for sharing! I love how these flocked brushes make applicating a breeze! Lash lift and tints, primer, taking excess debris off... it’s a life changer. We agree! thank you for the love and support Mary! Sabrina R. Reviewed by Sabrina R.
amelie p. Reviewed by amelie p.
Cassandra L. Reviewed by Cassandra L.
I enjoy the fast shipping, and the user friendly system to start with. I have tried many other adhesives, but for me and my space sugarlash always achieves perfection when applying lashes. Their lashes are on of my favs! 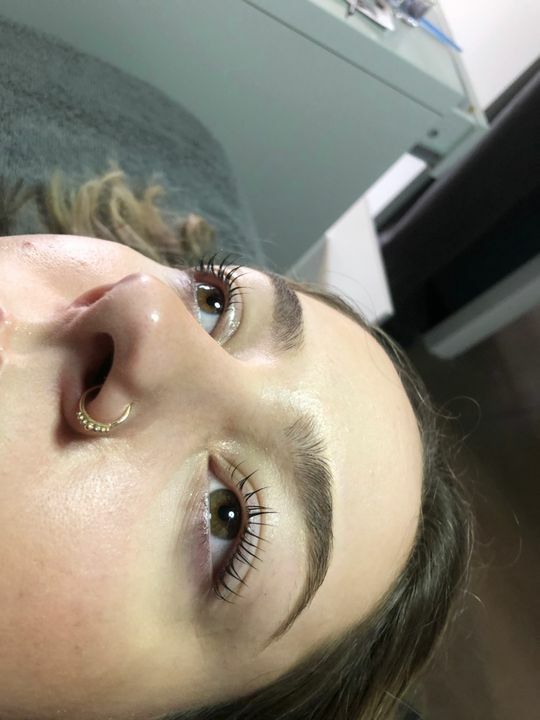 as the silk lashes aren't too plasticiky (if thats even a word), they have movement, just the right amount of shine, and always bond really well with the natural lash (thanks to the adhesive mentioned before).